Some marks are always found on the mould, it is caused during the process of manufacturing the mould or technical flaws. 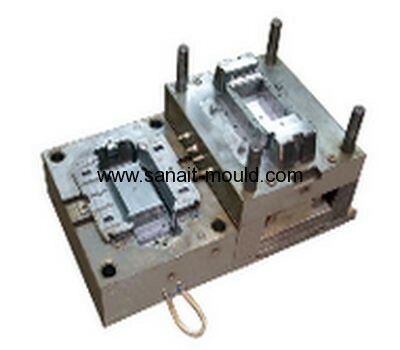 It is very important to reduce the mould defects in the manufacturing process. 1. It will reduce stress to the minimum after heat treatment. Because the quenching stress, mesh carbonized tissue under the action of grinding force, the organization can easily produce a phase change of the work piece cracks. In order to eliminate the residual stress grinding of high-precision moulds, it should be improve the toughness of low temperature aging treatment after grinding. 2. The rational use of coolant exert a cooling, washing, lubricating three role in maintaining clean cooling and lubrication to control the grinding heat within the allowable range, in order to prevent thermal deformation of the work piece. Cooling conditions improve grinding time, such as the use of immersion oil cooling wheel and other parts. The cutting fluid into the center of the wheel, cutting fluid directly into the grinding zone, to play an effective cooling effect and prevent surface burns. 3. A reasonable choice and wheel dressing, using corundum wheel well, its performance is hard and brittle, and easy to produce a new cutting edge, thus cutting force is small, grinding heat is small, the use of medium-grained in size, such as 46 to 60 mesh better use in the grinding wheel hardness in soft soft (ZR1, ZR2 and R1, R2), it is coarse-grained, low hardness of the wheel , and good self-motivation can reduce the cutting heat. Select the appropriate wheel when grinding very important condition for high vanadium high molybdenum steel mould, the choice of a single crystal corundum grinding wheels GD more suitable, when machining carbide , high hardness of the material hardening priority organic binder diamond wheel , an organic binder autogenous grinding wheel is good, grind the work piece roughness up Ra0.2μm. In recent years , with the application of new materials , CBN ( cubic boron nitride ) grinding wheel showing very good processing results, CNC forming grinder , jig graders , CNC internal and external grinder on finishing better than other types of wheel. In the grinding process, attention should be trimmed wheel, keeping a sharp wheel, when the wheel passivation, it will swipe at the surface, extrusion, resulting in surface burns , lower intensity.